Ryan Ashley supports Teej Poole at the Ink Master Season 11 finale: What is the relationship between the pair? 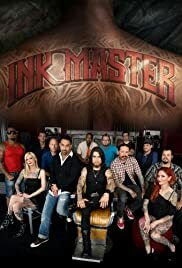 The series features four of "Ink Master" Season 8's top female competitors - Ryan Ashley, Kelly Doty, Nikki Simpson and Gia Rose - as they travel the country and go head to head with some of America's most talented tattoo artists. 5 tattoo artists move to South Beach to open up a tattoo shop. Ami James, a breakout from Miami Ink, will open a new shop, Wooster Street Social Club, in SoHo. "Bar Rescue" heads "Back to the Bar" to check up on some of Jon Taffer's most challenging rescues. This "where are they now" special features never before seen footage of what happened after the "Bar Rescue" cameras left town. 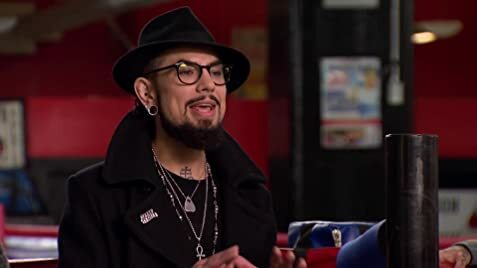 Dave Navarro - Judge: Five, four, three, two, one. That's it! Machines down. Time is up. No more ink/tattooing. The first season, I really liked this show. It was about a tattoo competition. Some of the ink was even good but even when it wasn't it was focused on the art. Unfortunately, things began to go down hill in the second season. One of the judges, Chris Nunez, became snarkier and snarkier. He seemed to be trying to humiliate and put down the contestants who didn't measure up rather than pull them up to do even better. Each season, there was a jerk added to the mix. They were someone who would try to "play the game strategically" to get ahead. It became very annoying to watch the petty politics and insults. The show completely jumped the shark when they announced in the fourth season finale that everyone on the show would have a rival, someone brought in to fight with. Great, pre-made arguing. What a joke! That was the death moment of the show. As soon as they announced that contestants are going to be chosen not on the basis of their art work but on the quality of their enemies I knew the show was dead.